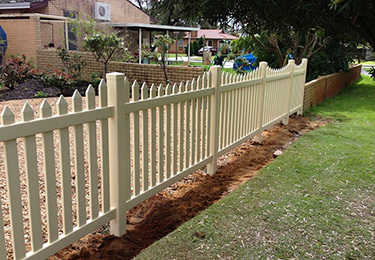 PVC and Picket Fencing has transformed how we construct and up keep our fences right here in Australia. PVC & Picket products are a far better and a more appealing option when it reaches time to upgrade current steel and wooden fences and they provide numerous advantages when installed. This type of enclosures need almost no upkeep and even better you do not need to paint them ever again.  We have a devoted team of professionals, machinists and project managers that provide their great expertise and know-how to produce exceptional products. 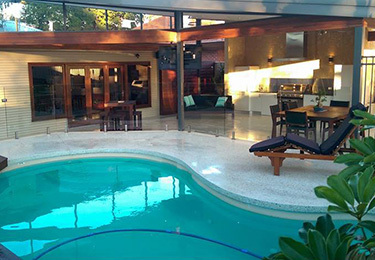 We offer hassle-free delivery and installation solutions. PVC picket fences are available in a variety of styles, which are sure to complement your home and suit your personal taste. Matching gates are also available in various sizes to enhance the elegant look of your new protection. PVC enclosures stand up to the harshest weather conditions. Unlike metal and wood, PVC will never rot, rust, peel, flake or splinter. PVC is non-toxic, impervious to termites and is environmentally friendly. Hard water deposits from yard sprinklers require most conventional fences to be repainted, but stains clean easily from PVC. 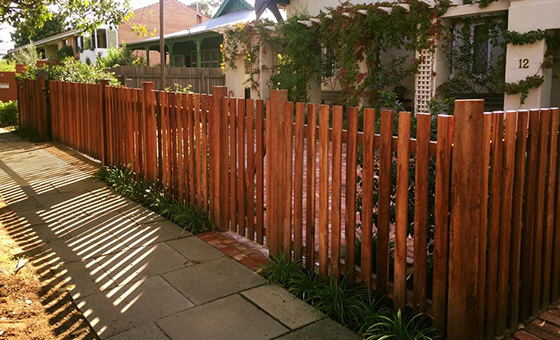 PVC Privacy Fencing offer a stylish alternative to traditional steel and timber. Independent studies have shown that a steel enclosure, actually amplifies noise. PVC on the other hand assists in reducing noise, thanks to internal air pockets. Tests have shown that noise is reduced by as much as 23db. A traditional Post & Rail fence helps put the finishing touches to any acreage or rural property, signifying that true country feel and warmth. With the option of 2, 3 and 4 rail systems, the look your after can be catered for. PVC enclosures stand up to the harshest weather conditions. Unlike metal and wood, PVC will never rot, rust, peel, flake or splinter. PVC is non-toxic, impervious to termites and is environmentally friendly. Hard water deposits from yard sprinklers require most conventional fences to be repainted, but stains clean easily from PVC. 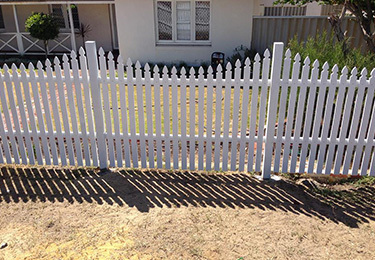 For that more natural finish, why not choose traditional timber picket fence, with a choice of picket styles and a coat of paint, your options are endless…Using only CCA treated materials, and with a bit of care, your timber picket barrier will be a lasting feature in your yard.